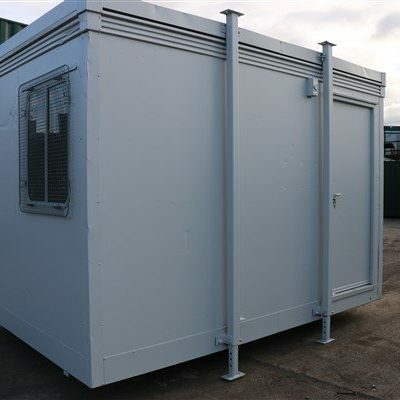 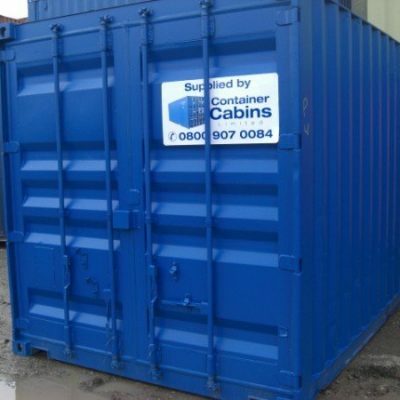 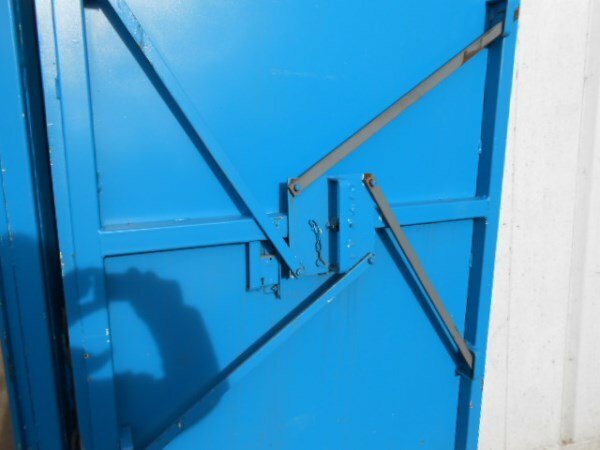 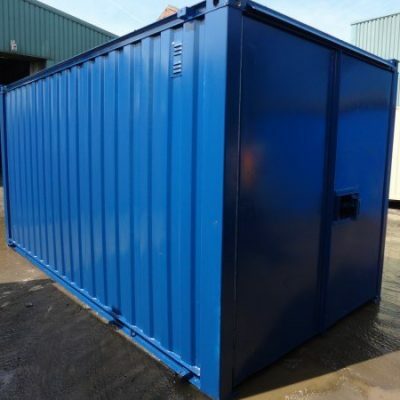 This unit is a 24ft x 9ft Steel Storage container. 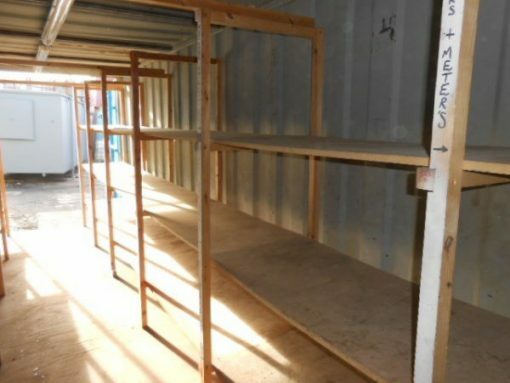 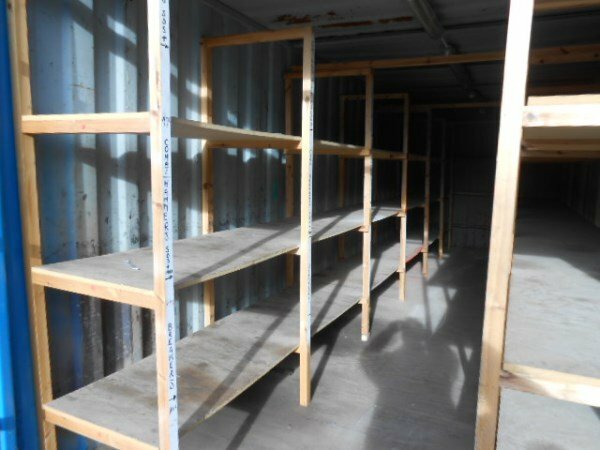 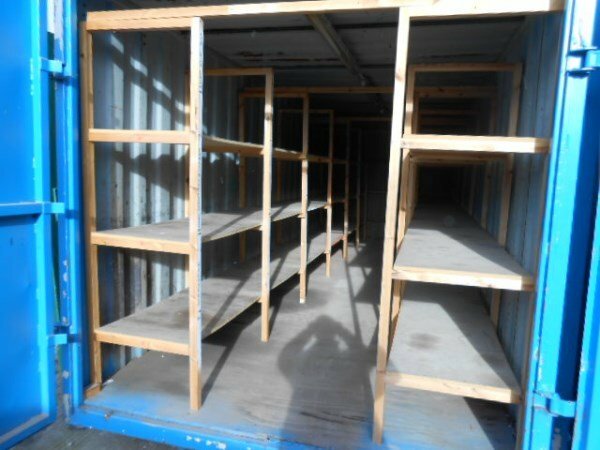 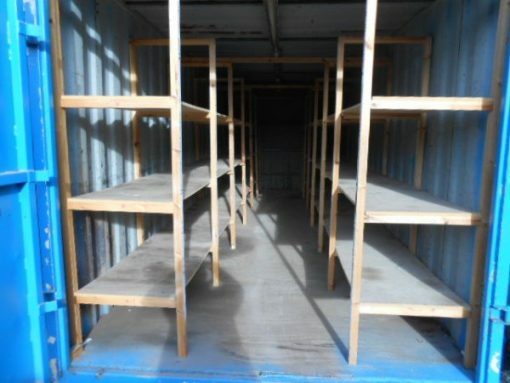 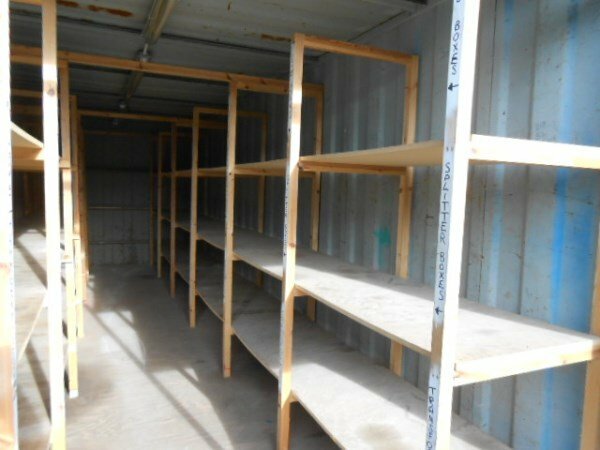 Wooden racking is fitted inside the unit for all types of storage. 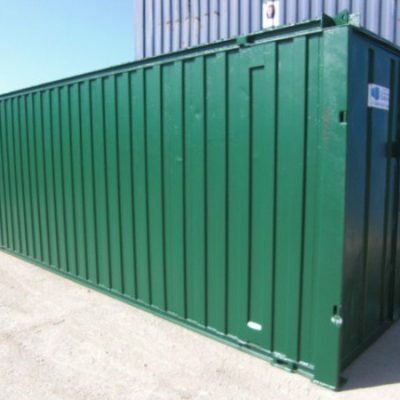 Unit is wind and water tight, comes sprayed in a single RAL colour of your choice.